@John : we are in Val Canali Tonadico, Trento Italy. 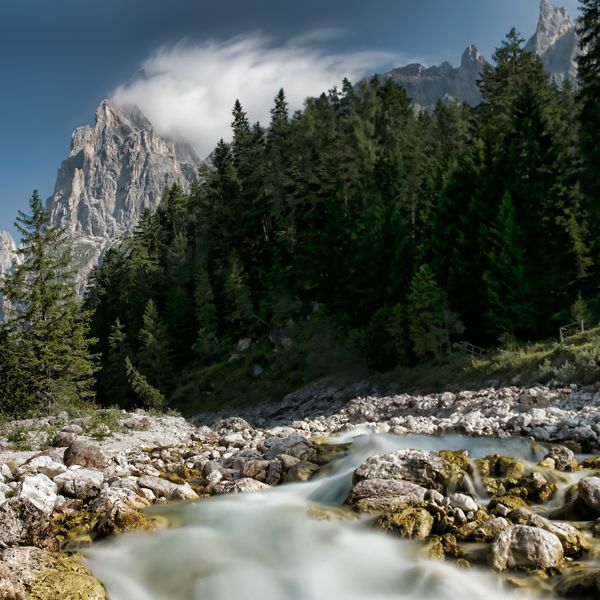 It's The Pala group, a mountain range in the Dolomites, in the eastern Trentino, northern Italy. john (Homepage) wrote: where is this beautiful place? sherri (Homepage) wrote: just beautiful. love the water and that wispy cloud. buntagphoto (Homepage) wrote: Beautiful natural setting. Classic composition. Albert (Homepage) wrote: Great sharpness and colours. Wonderful landscape.